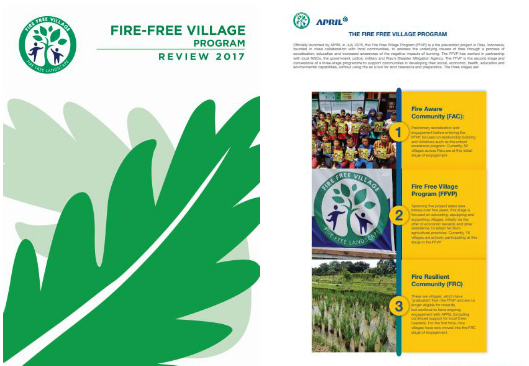 A record 15 of 18 villages in APRIL’s Fire Free Village Program (FFVP) will receive the full award for not using fire as a tool in their approach to community land management in 2017, a significant milestone in their continuing journey towards fire resilience. 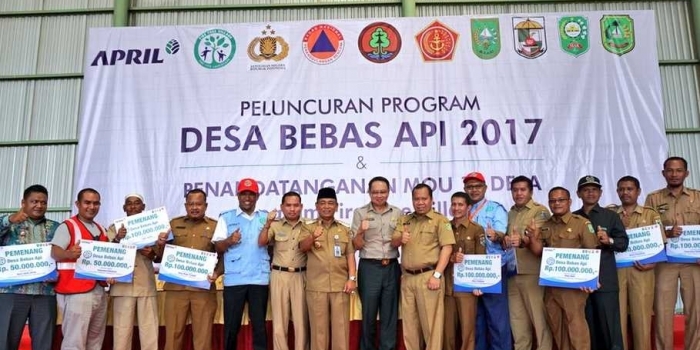 Now on its third year, FFVP is a systematic and targeted approach to engage communities for a long-term solution to the problem of fire and haze in Indonesia. 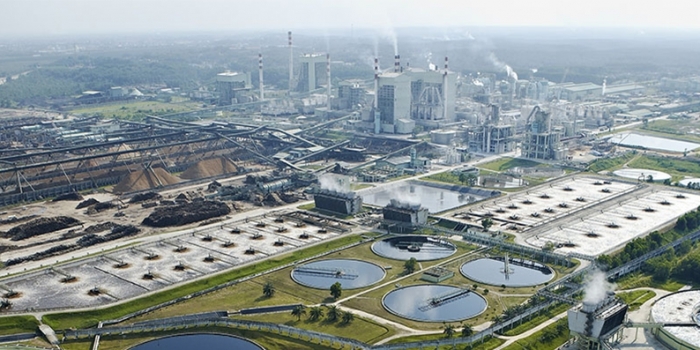 The annual review, conducted by independent NGO Carbon Conservation noted that 2017’s area of burnt land decreased from 390 hectares in 2016 to 159.3 hectares in 2017, a year-on-year decrease of 42.6%. Carbon Conservation also remarked that the recorded fires occurred in remote areas, outside of village control and were difficult to contain. APRIL’s Strategic Fire & Protection Manager Craig Tribolet remarks that this result demonstrates communities’ acceptance of FFVP’s approach and importance. 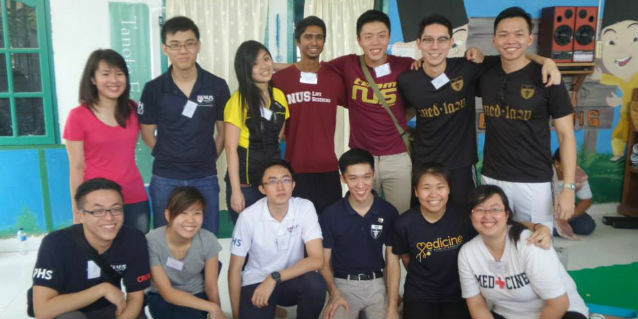 “The rewards are an important indicator that communities are experiencing the full value of the programme. It shows that education and capability building elements that encourage communities to take ownership and become fire resilient are working,” he says. 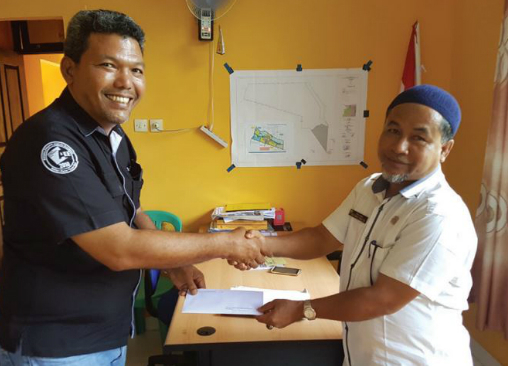 Since its establishment in 2014, FFVP has partnered with 27 villages, identified through a fire risk assessment process. 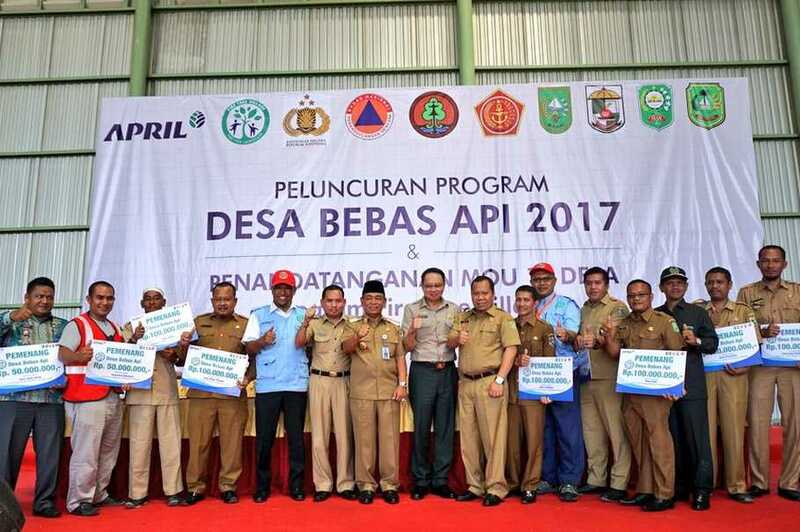 In 2017, nine new villages were added bringing the total area covered by the project to 622,112 hectares in the Riau Province.